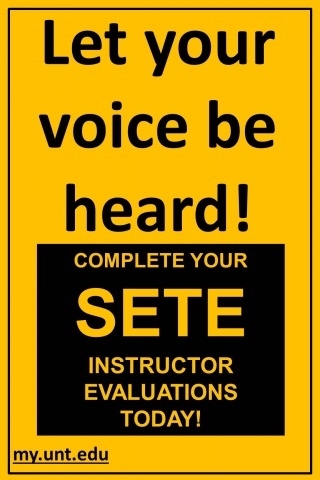 This spring the Office of the Provost, in collaboration with the Faculty Senate, appointed a task force to evaluate the current Student Evaluation of Teaching (SETE) instrument and administration process. The faculty-led task force will spend the next year exploring alternative student evaluation systems that meet UNT’s needs while fulfilling the requirements of House Bill No. 2504. The group has worked diligently over the past two months developing an evaluation matrix, conducting student focus groups, and planning for faculty input. Be on the lookout for an invitation to participate in a focus group discussion and complete an online survey to 'let your voice be heard!' If you have any suggestions, good ideas, or thoughts concerning the student evaluation of teaching instrument or administration process, please contact your Faculty Senate representative listed below. Congratulations to the 2014-2015 Mentoring Grant Recipients. The Office for Faculty Success recently awarded 27 mentoring grants designed to support full-time faculty mentoring endeavors. The goal of the Faculty Mentoring Program is to help faculty in four critical areas: gaining institutional knowledge, supporting teaching and research efforts, developing professional networks, and promoting diversity. Visit our Mentoring website for a listing of award recipients. 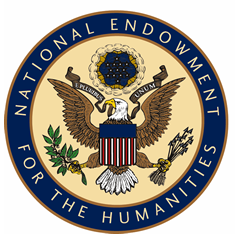 The Office for Faculty Success is accepting nominations for the National Endowment for Humanities Summer Stipend Program. The NEH provides support for individuals pursuing advanced research that is of value to humanities scholars, general audiences, or both. Typical outcomes include articles, monographs, books, digital materials, archaeological site reports, translations, editions, or other scholarly resources. The $6,000 stipend supports projects at any stage of development and continuous full-time work on a humanities project for a period of two consecutive months. Nomination materials are due July 15, 2014. Read more about UNT’s institutional selection process. Did you know that UNT anticipates over 8,000 new students, including new freshmen and transfer students this fall? Many of these students will arrive on our campus with little knowledge of what to expect from university life. Student Convocation provides a formal welcome to our first-year and transfer students and sets the tone for their academic life at UNT. Faculty presence at Convocation symbolizes the centrality of scholarship to the university experience. 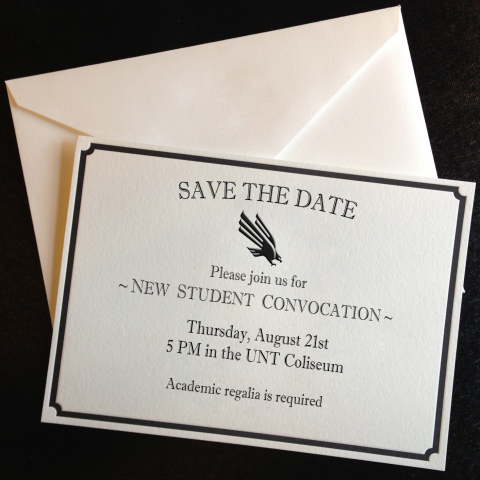 Please support the Class of 2018 and make plans to attend Student Convocation on Thursday, August, 21, 2014 at 5:00 p.m., UNT Coliseum. Business casual attire is appropriate for this event. The Campus Sexual Violence Elimination Act or Campus SaVE Act, included in the Violence Against Women Re-authorization Act (VAWA), enhances existing prevention education and victims’ rights provisions and provides for the collaboration of the U.S. Departments of Justice and Education to collect and disseminate best practices information about preventing and responding to sexual assault and other intimate partner violence. Learn more about the Campus SaVE Act and Clery Center for Security on Campus by visiting UNT Dean of Students website or browsing the brochures linked below. For information on how to get involved in UNT's Efforts to Prevent and Educate Against Sexual Assault and Intimate Partner Violence, email Dr. Maureen McGuinness, Dean of Students. For faculty there is a certain art and science to self-promotion. Too much bragging and you may be hailed as the shameless narcissist; not enough self-promotion and your accomplishments go unnoticed, unrecognized, and perhaps unrewarded. The Office for Faculty Success values the recognition of our outstanding faculty and we are ready to promote your success. 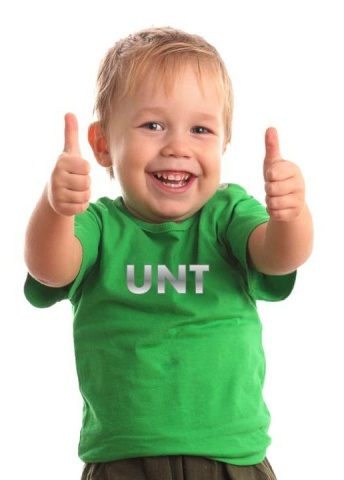 Please share your honors, awards, or accomplishments by sending a one liner, anecdote, and/or novel to faculty.success@unt.edu and tell us what you have done lately that made you proud. Your narratives will provide content for features on the Faculty Success website. You can also highlight the accomplishments of your colleagues by completing the Faculty Showcase form. 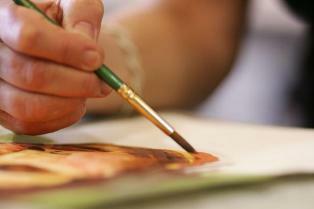 On My Own Time, the annual fine arts competition, highlights the creative talents of UNT's very own faculty and staff. This year's competition will feature two new categories — literature and music. The deadline for entries is June 27, 2014. The exhibition will take place July 28 -August 9, 2014 at UNT on the Square. All works must be done during the employees’ free time from work. UNT’s Best of Show and first prize winners will go on a regional exhibition, sponsored by the Business Council for the Arts, in September at North Park Center in Dallas. For more information and entry form, visit On My Own Time. 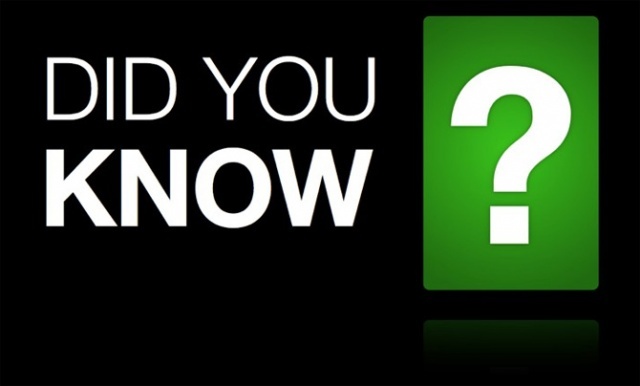 Did you know UNT on the Square (UNTSQ) is one of the three central components of the UNT Institute for the Advancement of the Arts (IAA) and is devoted to presenting UNT arts programming to the University and the Denton community. The IAA was launched in October 2009 and features a variety of future exhibitions that can be found on their website. Don’t miss out on the amazing exhibitions, programming, and artists coming soon. New Faculty Orientation, August 14, 2014, Gateway Ballroom, 8:00 a.m. - 3:00 p.m.